Love is in the air design has a lace fill in the heart. Three thread colors make it an easy sew out. Size of design is 5.05" high and 5.46" wide - just perfect for a t-shirt, night shirt or sweatshirt. 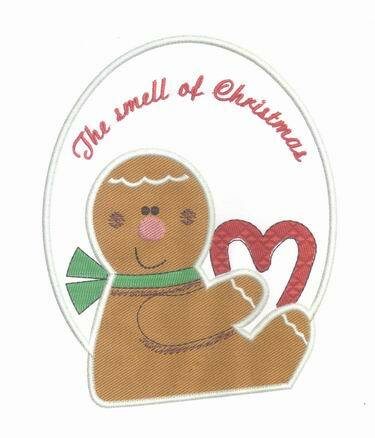 Applique design "The Smell of Christmas" designed for the 5x7 hoop.